A rare gap in the woodlands gives a glimpse over the bay. 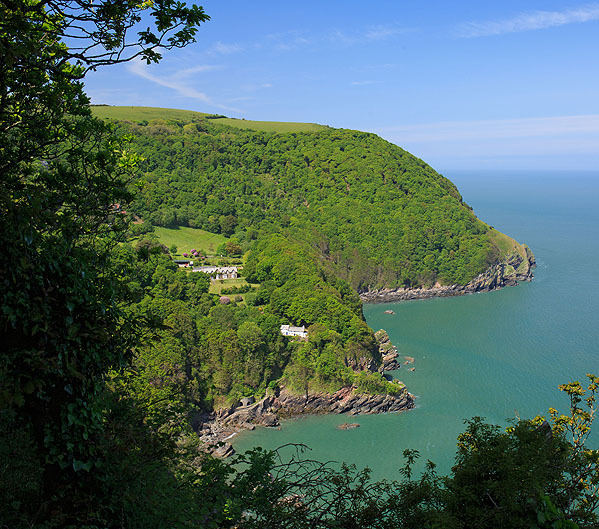 Martinhoe Manor ( Built as Wooda Bay house in 1859) has an impressive location and view. The Coast path follows a narrow single track Road !! through the woods around the bay. A road leads down to the beach ( 25mins walk).